Plants slender, epiphytic, forming a fine red turf a few to about 8mm tall on host algae; thalli comprising prostrate creeping axes and upright axes, branching sparse, pseudodichotomous. Segments with four pericentral cells throughout, uncorticated, prostrate axes about 150 µm in diameter, upright axes slightly narrower and narrowing distally to ca. 35 µm about five segments behind the apices. 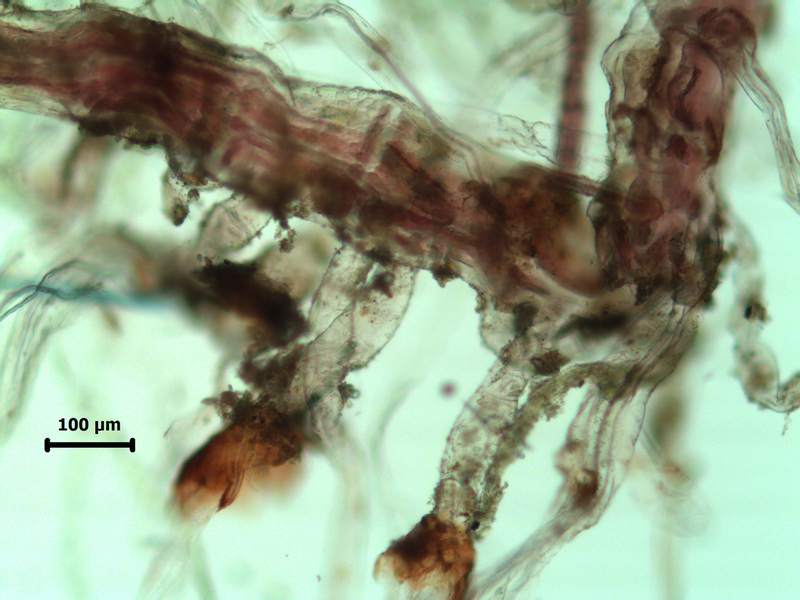 Prostrate axes attached by rhizoids cut off from proximal side of pericentral cells, often two rhizoids per segment. 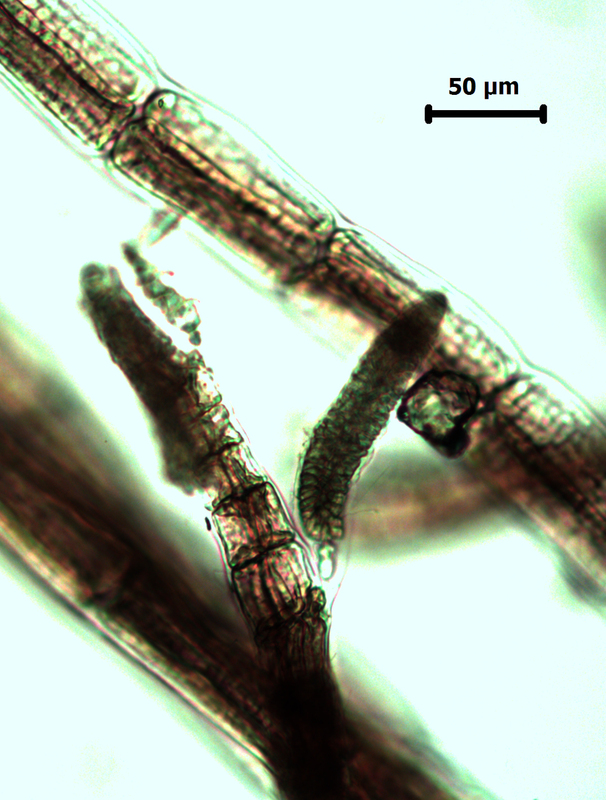 Tetrasporangia 40-45 x 45-50µm, one per segment, in linear series towards the apices of upright branches which become slightly thicker in fertile areas. antheridial stands cylindrical, arising from one branch of a forked trichoblast. 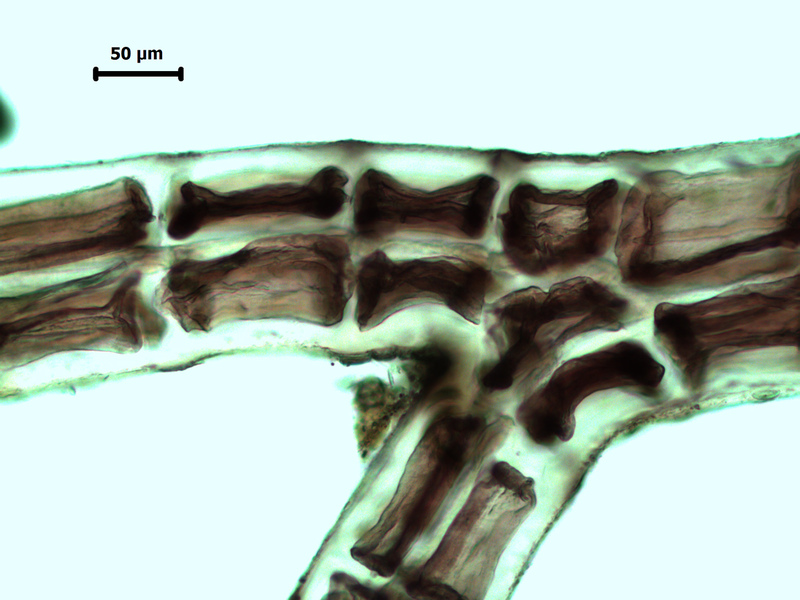 Cystocarps with short stalk, ostiolate, when mature about 250 µm in diameter and somewhat proximal on upright axes. So far only collected at Mkambati and Mbotyi, as epiphytes on Jania sp. and Codium spp. (47). Streblocladia sp I, apices of axes (BOL148496). 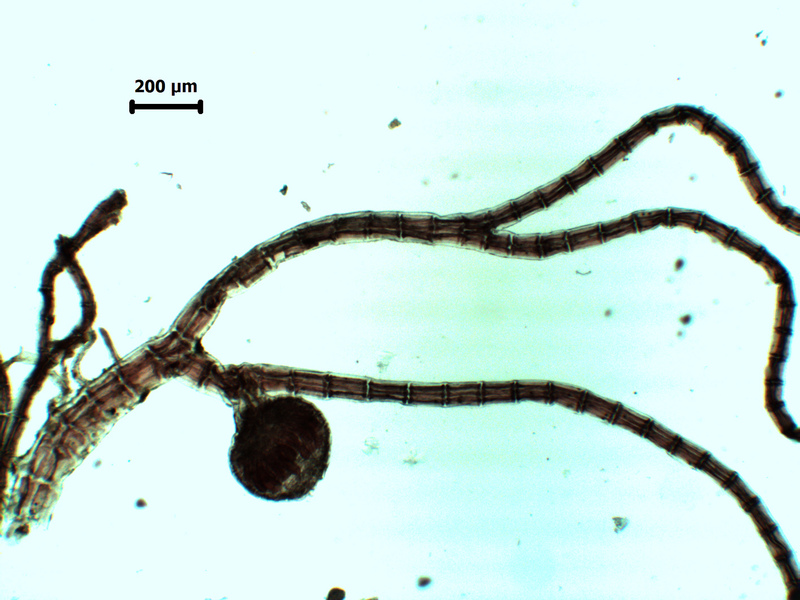 Streblocladia sp I, rhizoids – proximal, often two per segment (BOL148496). 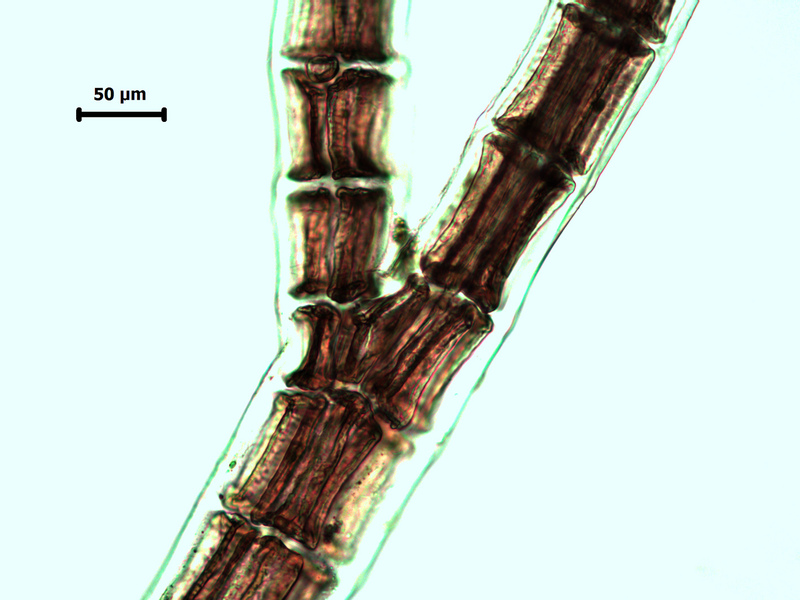 Streblocladia sp I, mature cystocarp near basal end of upright (BOL148496). Streblocladia sp I, branch junction, four pericetral cells (BOL148496). 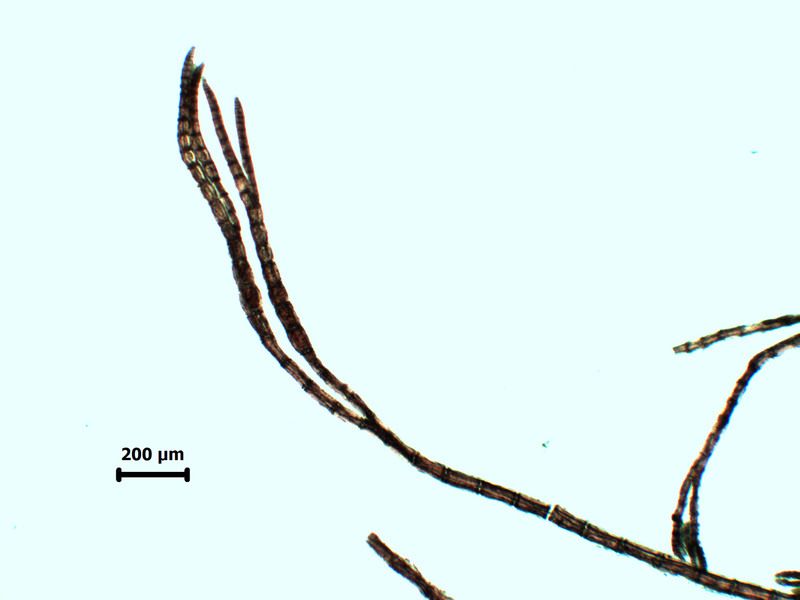 Streblocladia sp I, cell detail (BOL148496). 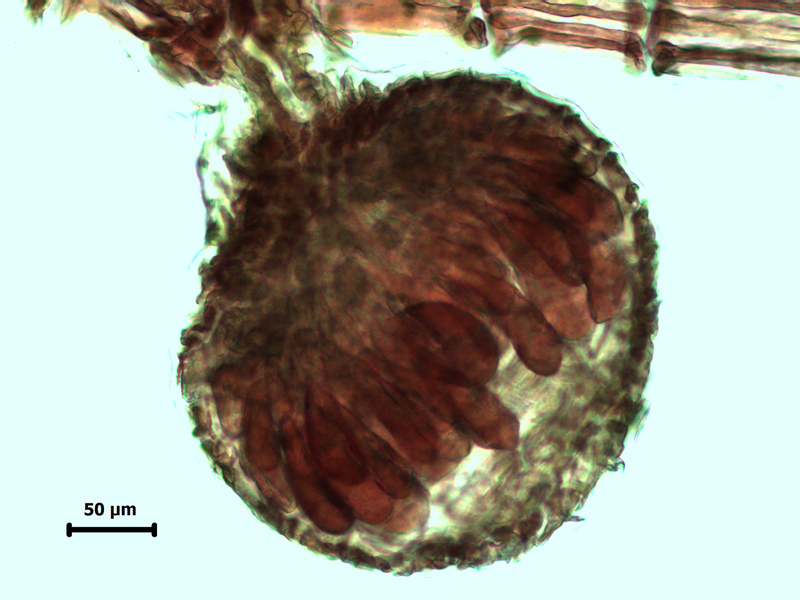 Streblocladia sp I, detail of cystocarp with carpospores (BOL148496). 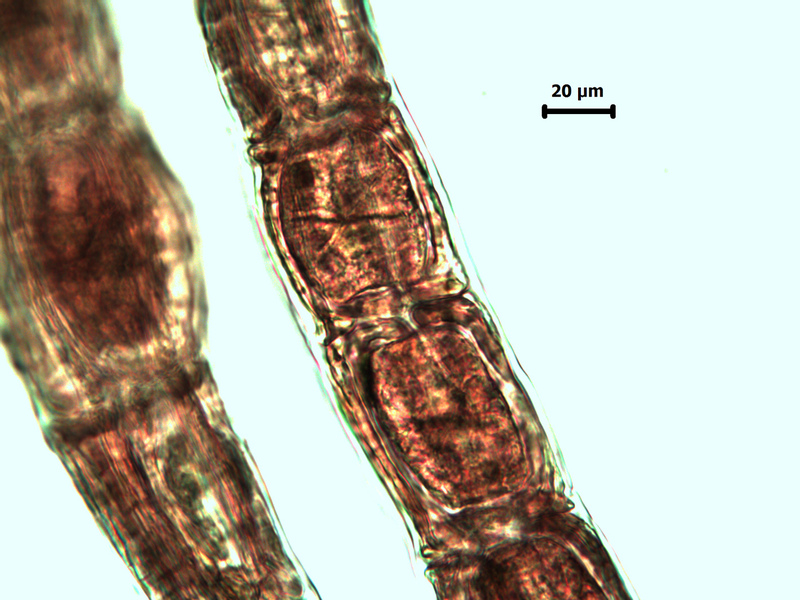 Streblocladia sp I, tetrasporangia (BOL148496). Streblocladia sp I, young antheridial stand on upright axis.